Exercise the most important part of the human body… YOUR BRAIN! 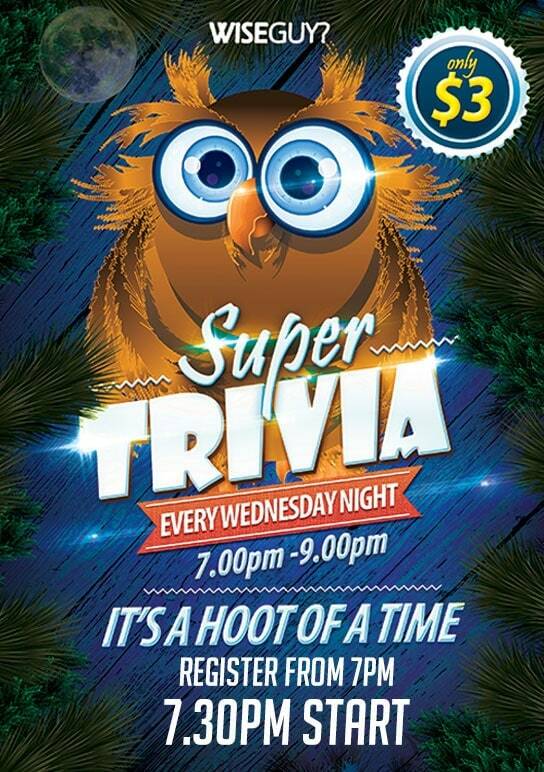 Super Trivia is at Cazalys Cairns every Wednesday night. You can join in anytime and there are great prizes up for grabs! Only $3.00 per person. Every week, half of the pool goes to the winning team and half goes to a selected charity. Register from 7:00pm for a 7:30pm start. Teams are made up of 4-6 people and be sure to bring your sense of humour! No Trivia on State of Origin nights or Lucky Duck Draw nights.